Paul McCartney is cool. Really. Worldwide icon-chevron-right North America icon-chevron-right United States icon-chevron-right Illinois icon-chevron-right Chicago icon-chevron-right Paul McCartney is cool. Really. He is not just the cute one. Nor the cheesy one, as some say. No, Paul McCartney has the most fascinating catalog of any Beatle. Really? Because that’s what he was doing before he died. Revisit Walls and Bridges and Rock ’n’ Roll sometime. I envision a living Lennon playing Chuck Berry covers at the Super Bowl. In any case, what irks me are not exaggerated visions of what Lennon would be doing, but the misguided perceptions of what McCartney has done. 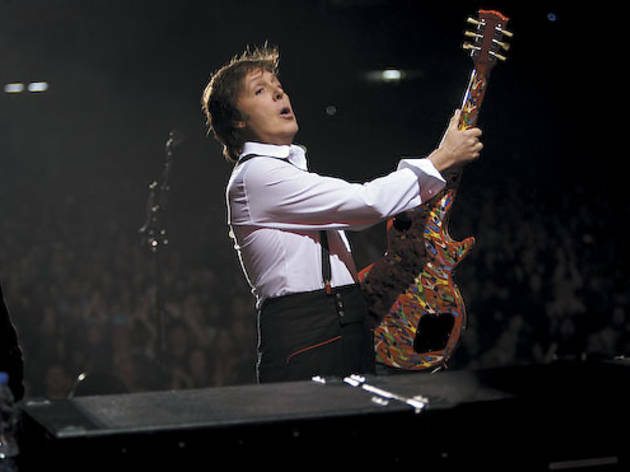 Paul crafted the most rewarding solo catalog. Paul is the cool one. Evidence of this can be found on a recent pair of reissues that bookend his first decade post-Beatles, McCartney (1970) and McCartney II (1980). Both LPs have a modest, offhand charm and sound remarkably contemporary, primarily because the Beatles bassist recorded everything by himself. Both are heavily overshadowed by the occasional pap McCartney spewed out to pay the bills, like “Ebony and Ivory.” Every big artist had a bad ’80s. But the self-titled albums are the predecessors of lo-fi, proof of a musician dedicated to experimenting. In other words, they’re bedroom pop. Even if the bedroom happened to be in a manse in St John’s Wood, London. Better yet, you can actually endure them without wanting to strangle a cat, or feel as if you are hearing a recording of that, unlike Lennon’s Life with the Lions. In the pictures accompanying II, there is Paul, beating on a snare in his hallway, fiddling with electronics, smoking a cigarette while holding a baby (okay, not so cool in hindsight). Tracks from those sessions, like “Temporary Secretary” and “Frozen Jap” (look, we’ve learned more about cancer and insensitivity since those days) are fascinating, weird proto-electro grooves. Yep, Paul, “using the computer.” In 1980. What was John doing around that time? Besides not much at all since 1975? “Woman.” Perhaps you’ve heard it at the dentist. I haven’t even mentioned Band on the Run, recorded in Lagos, or “Tomorrow,” the greatest Beatles solo song, hidden on the rustic, overlooked first Wings record. A brilliant Peruvian psych band that covered a bunch of Paul tunes (and none of John’s), We All Together, did an amazing version. That’s cool. But allow me to amend my point. Paul is not the cool one. Nor is John. They are both the cool one. They are both the uncool one. They are both the cute one. They are both the funny one. Why argue over the greatest pop songwriters ever, right? As they said, “Give peace a chance,” “side by side on my piano keyboard.” Ugh. 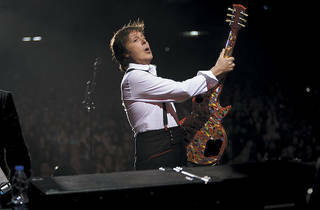 Paul McCartney plays Wrigley Field Sunday 31 and Monday 1.